Paul: Matt? Hi! No-one answered the door so I let myself in. Matt: You tried to find your way through the house by yourself? God forbid if I’d forgotten to lock the basement. Paul: What? Wait, what’s this room? Matt: The library. Look here. These books have all tried to capture the experience of the front-line soldier. An extreme example of the human condition. Seeing one’s friends dismembered in the most appalling ways imaginable on a daily basis. Matt: Fascinating, yes. But it turns out all that research and writing was something of a waste of time. 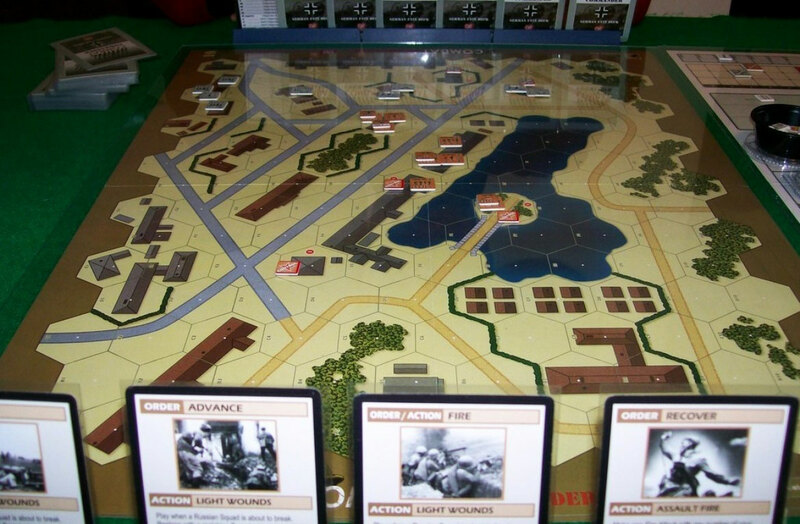 All they had to do was play this game, here: Combat Commander. It’s absolutely incredible, and more than a little blood-curdling. I was inspired to get it out because there’s a new expansion in the works, Fall of the West, covering the 1939 Nazi invasion of France. Look at it, closely. Paul: It’s just a game. Matt: This is pointless! You’re seeing maps and a myriad of counters with bland artwork. Hardly the most inspiring components. 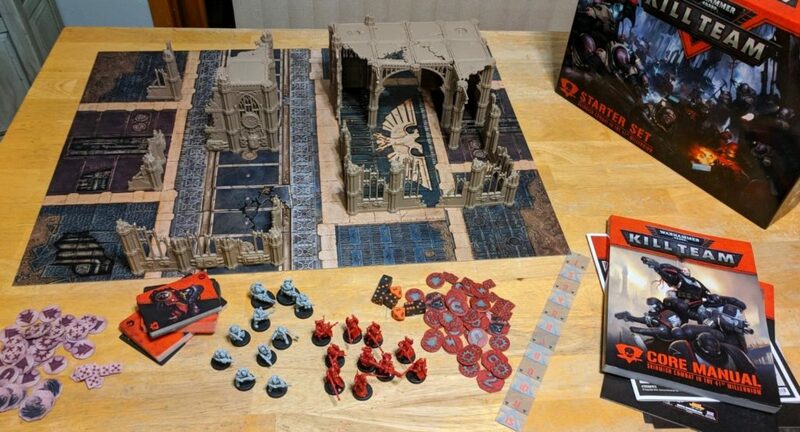 Yet this game does a better job of putting you in the thick of the action than any overproduced monstrosity with detailed miniatures and lavish pictures. The connection you build with your cardboard avatars on the map is extraordinary. 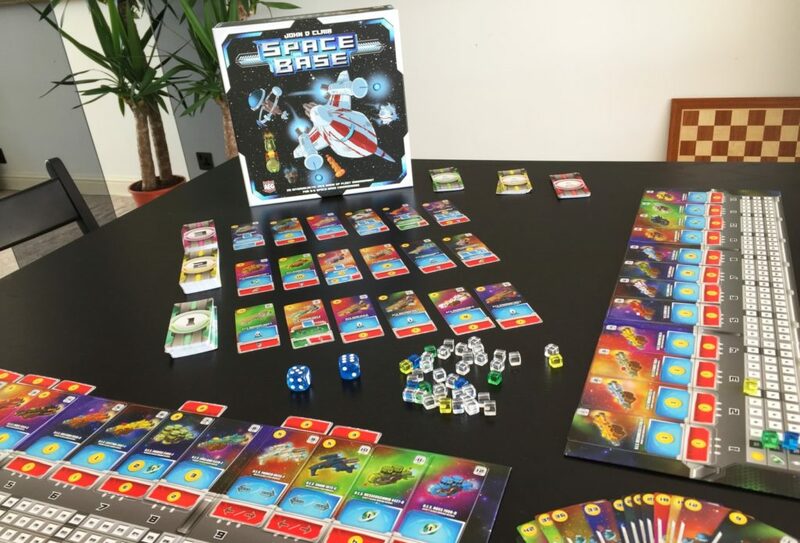 In most tactical combat game dice roll and pieces get removed. In Combat Commander, guns fire and people die. Paul: So it really comes alive? Matt: Yes. The essential treatise on modern infantry combat is Marshall’s Men Against Fire. I have a signed copy somewhere. 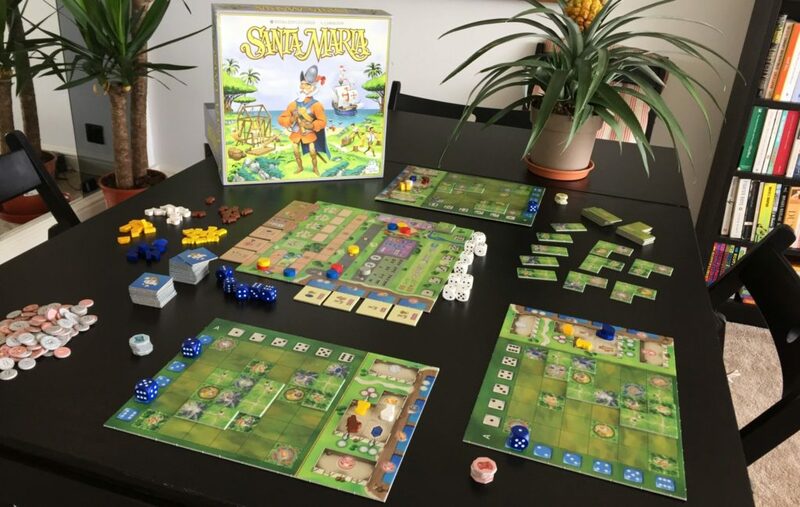 Let’s dig it out, and compare book against game. Matt: That’s an order, Private. Walk with me. 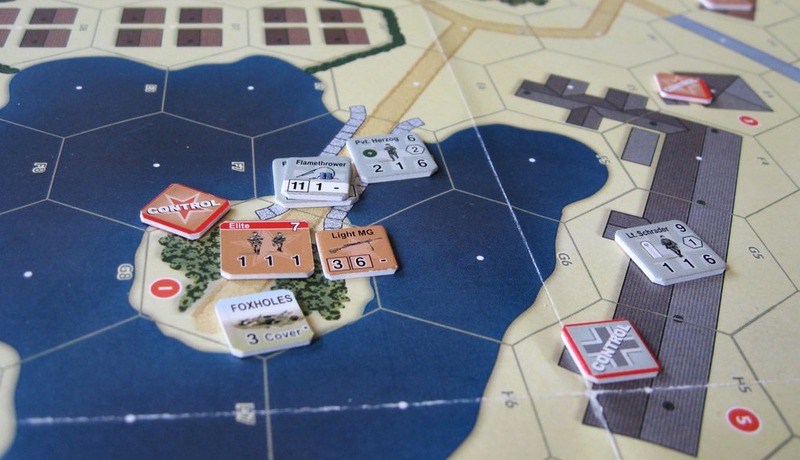 Now, close combat wargames have a tendency toward the pedantic and procedural, focusing on realistic tactics and weapons. This results in nuanced strategy, but can be very dry, almost sterile. Combat Commander does the opposite. It’s a fast, furious game, and while it does strive for realism, it seeks to model the mayhem and panic of battlefield conditions. Paul: What are those black books chained to shelf? 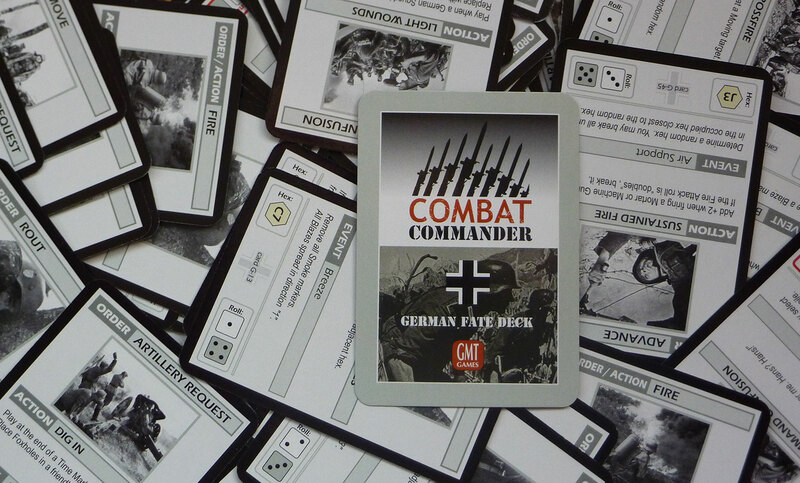 Matt: So, the quick-fire play and innovative time mechanics of Combat Commander are hugely appropriate to conveying a sense of fast action. Too many of its peers play very slowly and reward intricate planning. They might be full of strategy, but that just feels wrong when you’re trying to convey the messy, instinctive reality of close quarter combat. 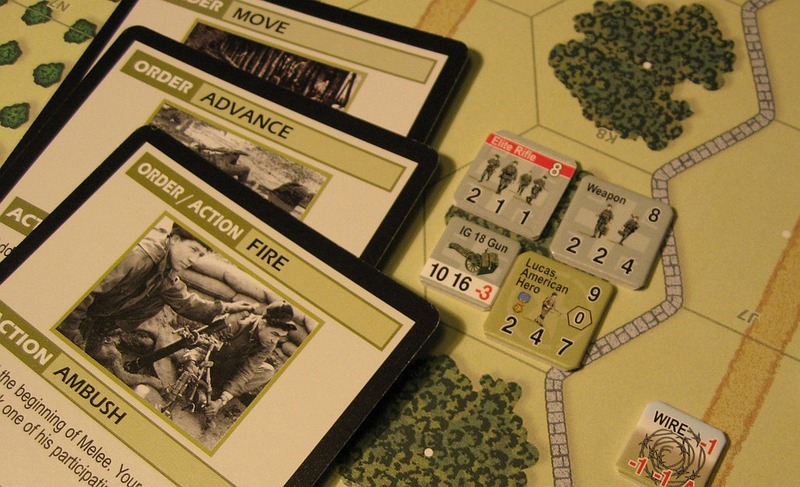 Combat Commander crams in narrative detail like a twelve-inch shell in a ten-inch mortar. Its secret is this deck of multi-purpose cards. Every single one can optionally function as order for your troops, an action like “ambush” or “conceal” to supplement those orders, a random event, a random hex and a dice roll! Paul: Ah, I get it! That sounds exactly the right way to do controlled chaos. Matt? Are you ok? You’re sweating quite a lot. Matt: Yes. NO. There’s no such thing as a ten-inch mortar, but the metaphor will serve. Each of the three nations included in the game has its own different deck of cards. Russians, for instance, can get shot by their own political Commissars. The resulting variety is astonishing. Soldiers end up stumbling into hidden wire or minefields, have their machine-guns explode in their faces, get felled by friendly fire. All things rarely covered by most tactical games. Paul: Wow! That sounds horrible. Matt: Oh, but there’s more! 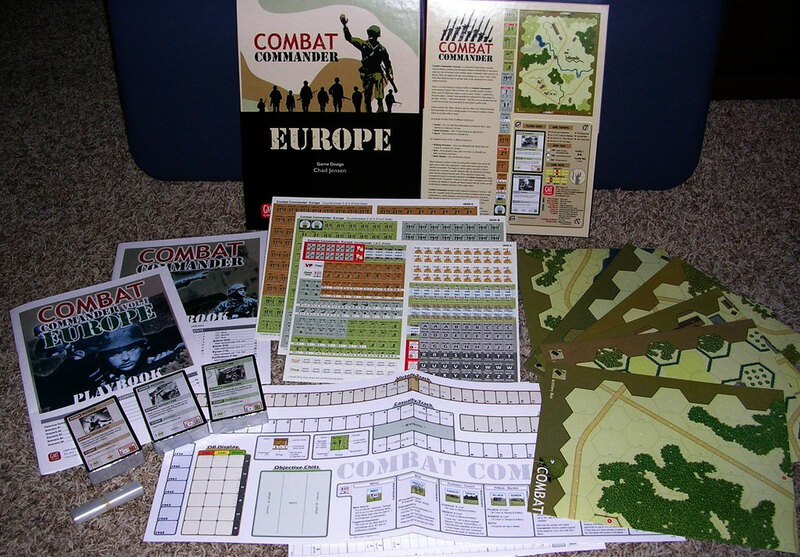 The game encompasses the glamour and heroism of battle as well as the terror. Heroes can be forged by the desperate heat of conflict, and lowly Privates can rise from the remnants of shattered units and lead their comrades to glory. You can replay each of the twelve scenarios in the game and never see the same narrative twice. If that weren’t enough – and it IS, Paul, it IS – there’s a random scenario generator offering near-infinite replayability. Paul: Matt, I think you should sit down. Where are we going? Paul: OK! Ah, if it’s so reliant on chance and cards, I can’t believe there’s much strategy. Matt: HA! 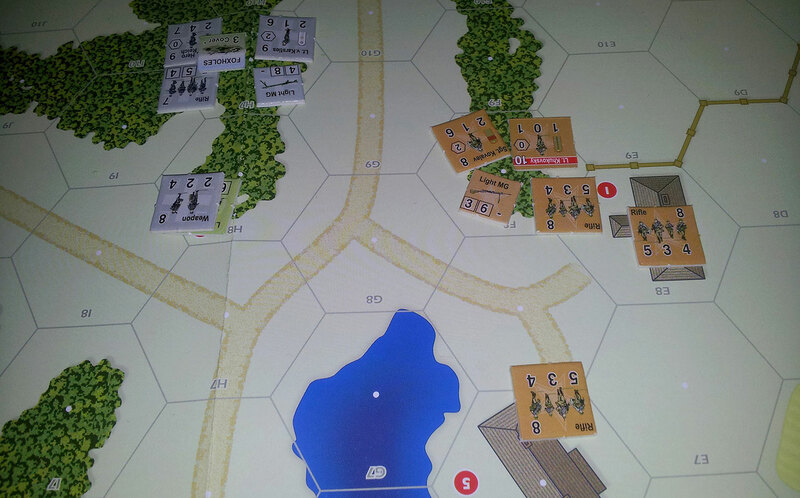 It’s certainly frustrating when you find that none of your squads will march toward an objective because you don’t have any move cards, but the game exudes such a palpable sense of story that it fools your brain into filling the gaps with excuses for your recalcitrant troops. They can’t move because they’re stuck in mud. They can’t fire because they’re desperately searching their packs for more ammunition. They can’t call in artillery because the radio is tuned to the wrong frequency. Paul: Did I just see something moving behind those shelves? Matt: Depends if I forgot to lock the basement. 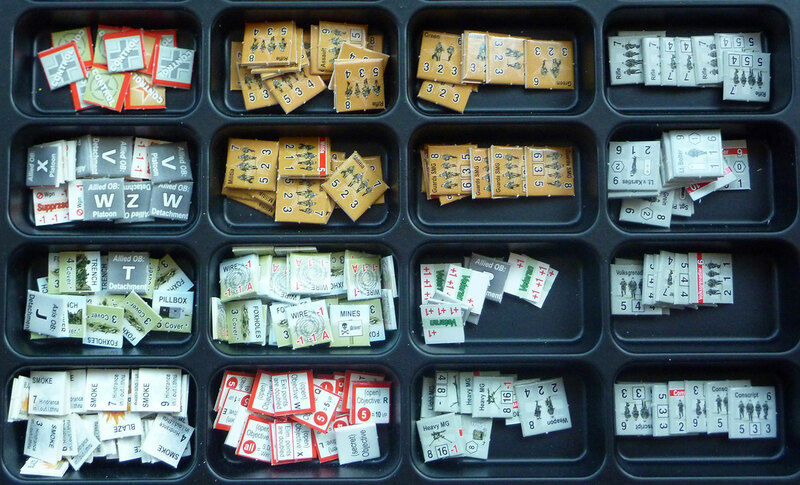 Really, to see the strategy in Combat Commander you have to look at it differently from the usual wargame. There’s still hex and counter maneuvering, but the real skill comes in successfully managing the unpredictability of the environment. Rolling with the randomness and making the best of your opportunities. The truth is that games with this amount of random chance go on to produce unusual situations, and so can end up teasing your brain in brand new ways. But there’s plenty of thrills to be had, too! Your hand of cards is hidden from the opponent so you can bluff for all you’re worth. 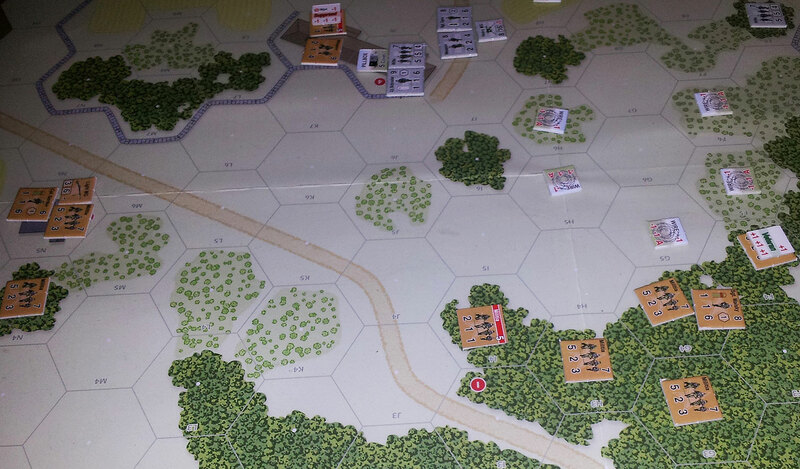 Then fire exchange, artillery and assaults all involve dice, so there are some hideously tense moments. The whole thing sits in a wonderful sweet spot between strategy, excitement and simulation. And only takes two or three hours to play! Matt: It’s an excellent game, an EXCELLENT GAME, but nothing is perfect. Sometimes several turns to pass where nothing happens, players just discarding and re-drawing to try and get workable cards.. And the realism does break down at extremes. It’s plausible in Combat Commander for a squad to charge a machine-gun position across open ground and survive. Anyone trying that in real life would be cut to ribbons! Ribbons, Paul, RIBBONS. Paul: What about tanks? Everyone loves tanks! Can they charge tanks and get away with it? Matt: No, because there are no tanks in Combat Commander. It’s commonly seen as a big omission, and it put me off playing for a long time. 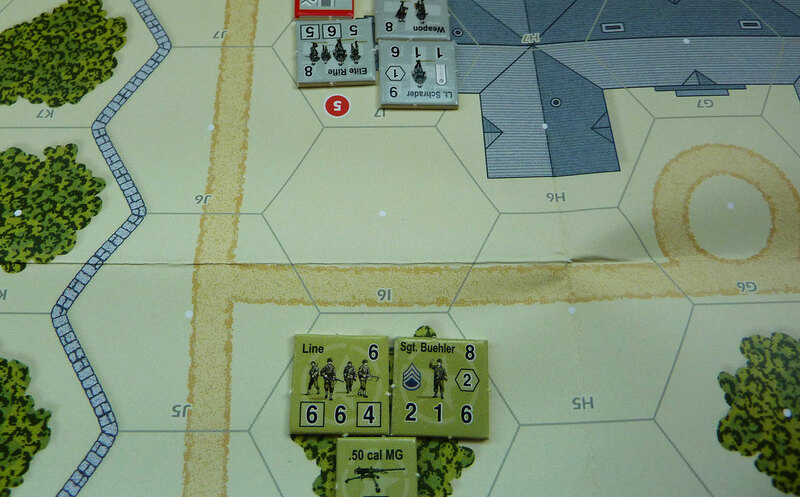 But in practice you barely notice their absence, AND the focus on infantry is a big part of what makes the game work. It can keep that wonderful balance of accessibility, narrative and realism precisely because it doesn’t try to simulate too much. Besides, the coming Fall of the West expansion pack has promised to introduce a few armoured vehicles into the mix, via rules rather than actual counters. A novel approach. If it works, there’ll be few excuses left not to try this game. Paul: We seem to have come an awfully long way. How big is this room? Matt: Not big enough! Extraordinary to think this writing inspired games like Combat Commander, which in turn arguably improve on what the writing was aiming to achieve. It’s a brilliant re-creation of combat: stressful, demanding yet thrilling. Sometimes it makes me feel I should get under the game table to shelter from incoming fire. Paul: Oh God. What’s the fastest way back to the door? Matt: Don’t know. I often get lost here. Nothing to worry about, assuming I did remember to lock the basement. 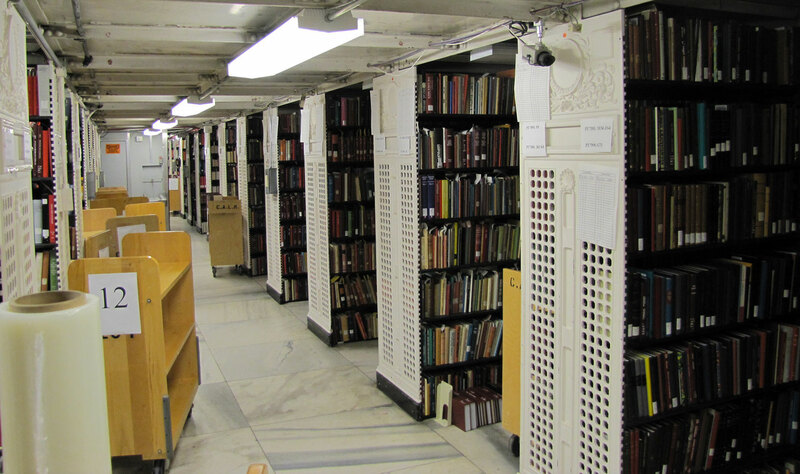 There’s tinned food and chemical toilets under the shelves in case of emergencies. It’s wonderful to spend a few weeks rooting through all this fascinating history while waiting for a rescue party, doubly so now that I’ve got someone to share it with! Paul: Please Matt. I have a family.